Austin Zoo ~ Austin, Texas - R We There Yet Mom? 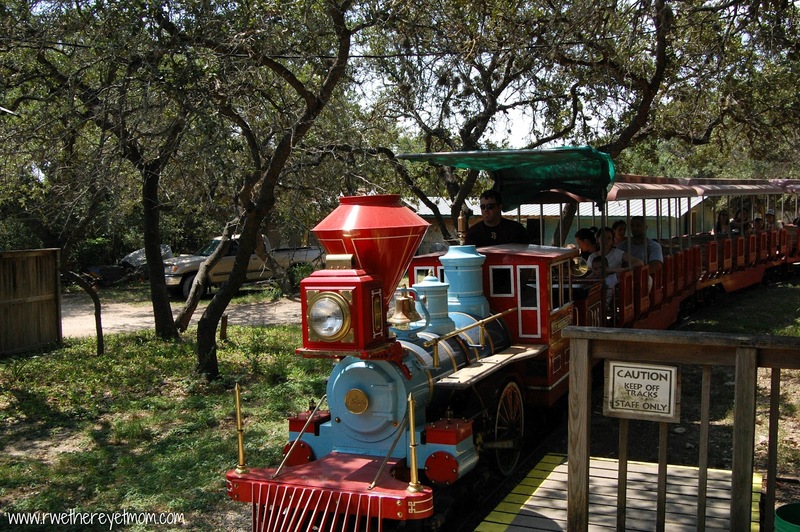 Did you know there is a great big ranch filled with delightful animals in the hills of South Austin? We discovered what a great outing this is just a few weeks ago and before the days head into the permanent 100’s, I recommend you go for a fun morning trek. 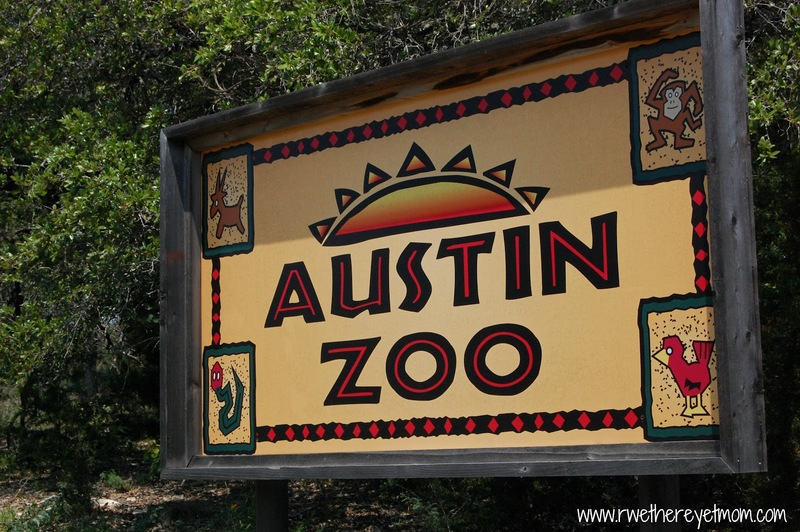 The Austin Zoo started out as the Good Day Ranch, hosting birthday parties with domestic farm animals. As the ranch grew, so did the number of animals to came into it’s care. 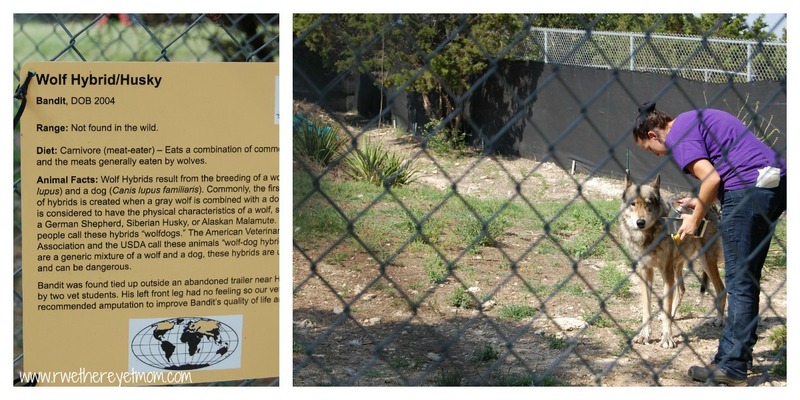 And in 1994, the ranch became the Austin Zoo, a rescue sanctuary. You will see some heart-wrenching stories but it is also great to see them in a loving environment. One of the things we enjoyed the most about the Austin Zoo was how incredibly close you can get to the animals – not necessarily touching them, but you are not blocked by a big concrete barrier. 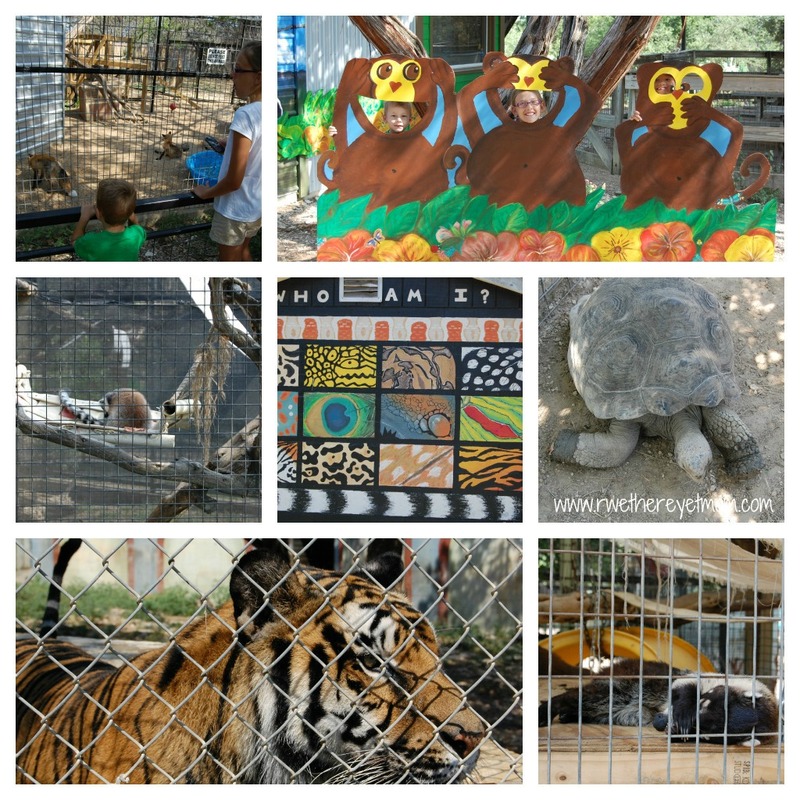 We loved watching the monkeys swing around their cages and the tigers jumping in & out of their pools…all up close & personal. Being that it is getting hot, we recommend you go as early as you can – posted hours for the zoo opening are 9:30 am, but we were told to tell everyone that you can come as early as 9:00 am. The animals start to disappear and take naps once it gets hot, so the earlier the better! 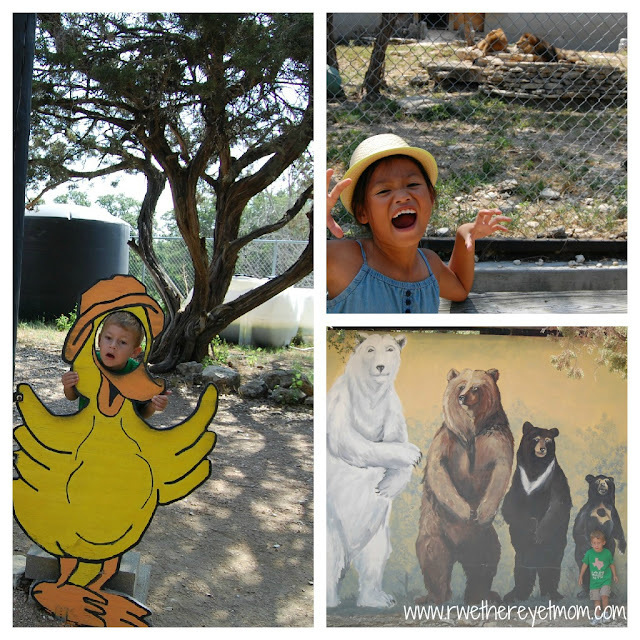 There are a ton of great photo opps – beautiful murals and great animal shots – so make sure to bring your camera! 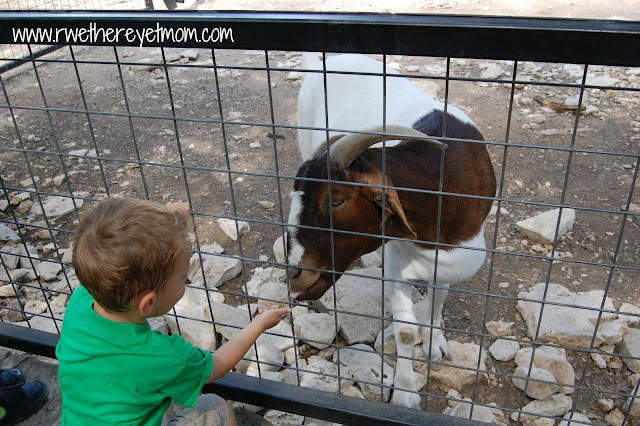 You can purchase food to feed the goats, llamas, and deer in the petting corral – a BIG hit with the kids. Not one for goat saliva, this momma was happy to see hand-washing stations right outside! And a morning at the zoo is not complete without a fun ride on the miniature train! 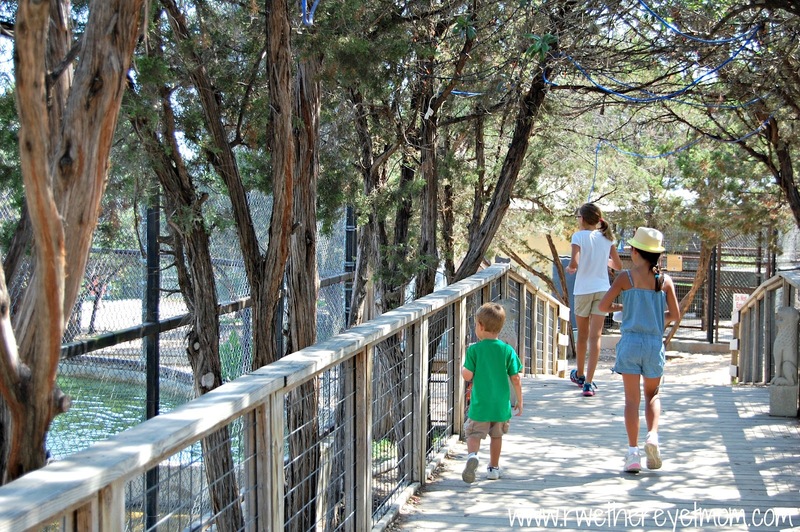 We loved the Austin Zoo – there is a great variety of animals to see all in a beautiful setting. I am anxious to go again! My family and I were invited to visit the zoo and were provided admission. I was not financially compensated for this post. All opinions of the Austin Zoo are strictly my own based on my experience. I love Zoos like that. It looks like you had the place to yourself! Did you see the mural I took a picture of on Instagram over the weekend?